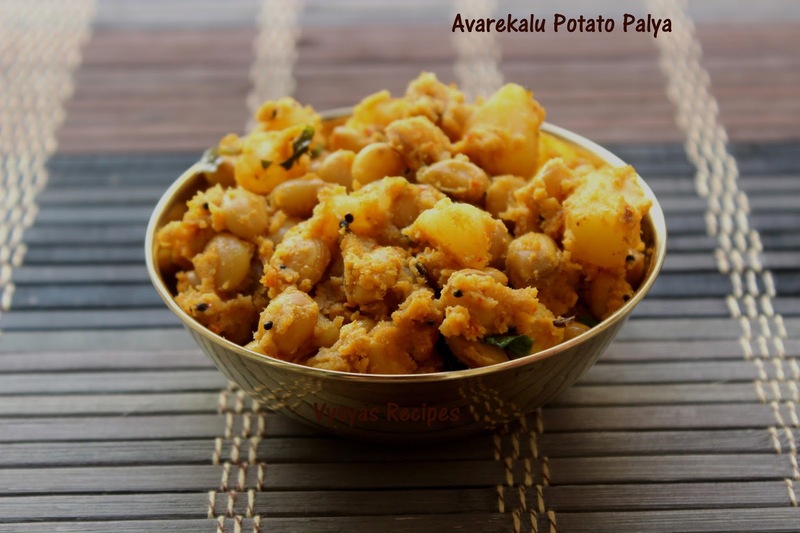 Potato Averakalu curry is a delectable curry goes well with Chapathi,Roti,Paratha, dosa & Mild Pulao's. Averakalu is a Popular Legume in Karnataka Cusine. We get this legume in Market, throughout the winter. I hope from November to March.you can make lots of dishes from this legume. Already i have posted Avarekalu Saagu & Averakalu Saaru. Today I tried curry with it. yummy Avarekalu legume,when combined with Potatoes & some spices tastes divine. Today i am sharing the recipe with you all. Coriander Seeds - 1/4 tsp. Pressure cook Potato and Avarekalu in a seperate container with needed water for 3 whistles. Grind everything given in a "To Grind" column into a smooth Paste with needed water. Heat the oil, add mustard seeds when it splutters add fennel seeds,curry leaves & hing. When you get Good aroma of fennel seeds, add ground Paste. Saute now & then for for 3 - 4 minutes in a medium flame.Then add Cooked cubed Potato & Avarekalu. Keep the flame to low.Mix well.Stir now and then till the water evaporates. it takes nearly 5 minutes, then remove from fire.Garnish with fresh cilantro. Serve with rice,roti,chapathi,phulka's & pulao's. Don't Overcook the Avarekalu(field Beans). if you are using dried field beans soak it overnight. Adjust the Red chillies according to your spice level. Tempering with fennel seeds enhances the flavour of curry. This curry looks divine, Gayathri! 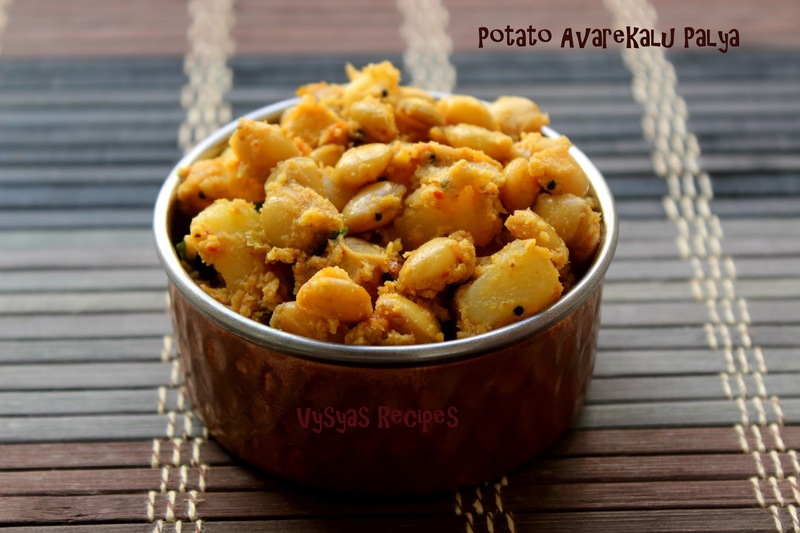 mouth watering potato recipe, looks delicious Gayathri!